Hi lovelies! How was your weekend? I hope that you all had a great one! It was very rainy in San Francisco on Friday, but I embraced it by having a red cup drink (americano with a pump of peppermint…yum) and sticking close to my heater. Luckily, the sun came out for the rest of the weekend and I’m hoping it’s here to stay! I’ve mentioned before that although I love food and healthy living, I’m not really a cook. I just haven’t had much experience with it and sometimes get uncomfortable in the kitchen. But since one of my October goals was to actually cook, I decided it was time to just do it. In honor of Fall and the amount of delicious pumpkin recipes I’ve been seeing on other blogs, all of my creations involved pumpkin! Ok, well I’m not sure if most people would even qualify this as cooking, but it involved me using a stove so I’m counting it! All I did was cook up a giant batch of quinoa on the stove (note to self: when making quinoa, remember how much it expands when cooking) and added canned pumpkin directly to it. 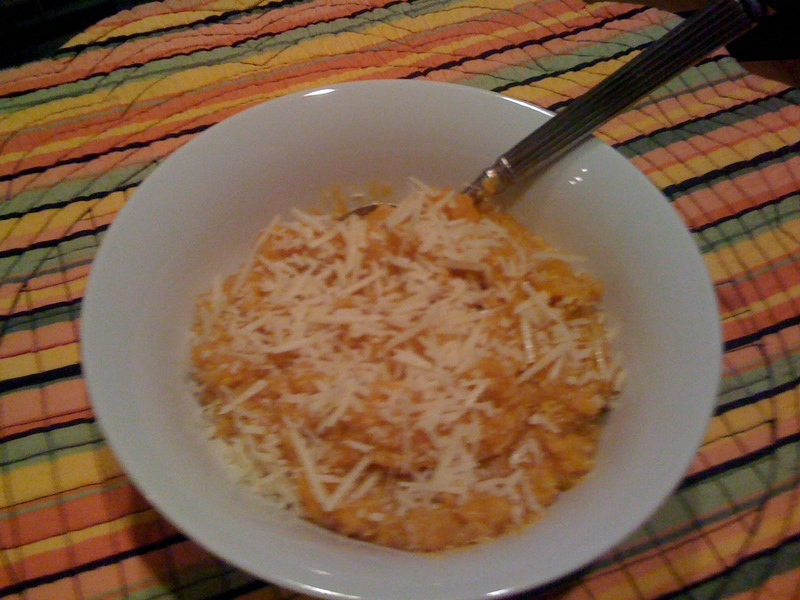 The result, was a creamy, risotto like texture that was slightly sweet. But, since I was going for a savory dish, I stirred in some goat cheese, though you can use parmesan like I did above, but I think the goat melts better. And bam, that’s it. A fiber-packed delicious, very easy dinner- You can bet I’ll be “cooking” this again. Mine didn't turn out as expected, but it was delicious nonetheless! 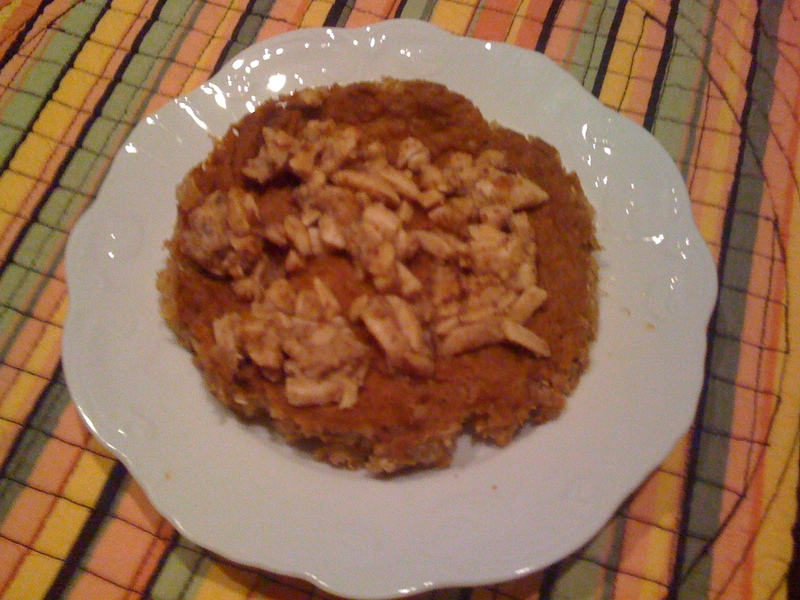 After spotting this recipe on Leanne’s blog, I figured it would be the perfect way for me to combine my newfound love of pumpkin and quinoa. It looked easy enough and seemed like a fabulous change of pace from my usual greek yogurt breakfasts. However, as a new cook, I have to admit that I was pretty bummed when mine didn’t turn out like hers. I’m still not quite sure what I did wrong, but did realize that I didn’t have the right pan to bake it in, so I had to improvise. (Note to self #2: Always check the pan before you decide to make something.) In the end it still tasted pretty delicious and that’s what matters most. After impulse buying my first jar of pumpkin butter from Trader Joes, it has been sitting in my fridge looking awful lonely. It’s not that I don’t like it- I do! But I cannot seem to figure out what to do with it! I’m not wild about it combined with peanut butter and it seems weird on my normal wheat toast. But then it all changed for me when I remember Julie’s granola recipe. As my namesake says, I truly do love granola- yet I have yet to make my own! But tonight, I decided to bite the bullet and go for it, and guess what I found out? It is so easy! 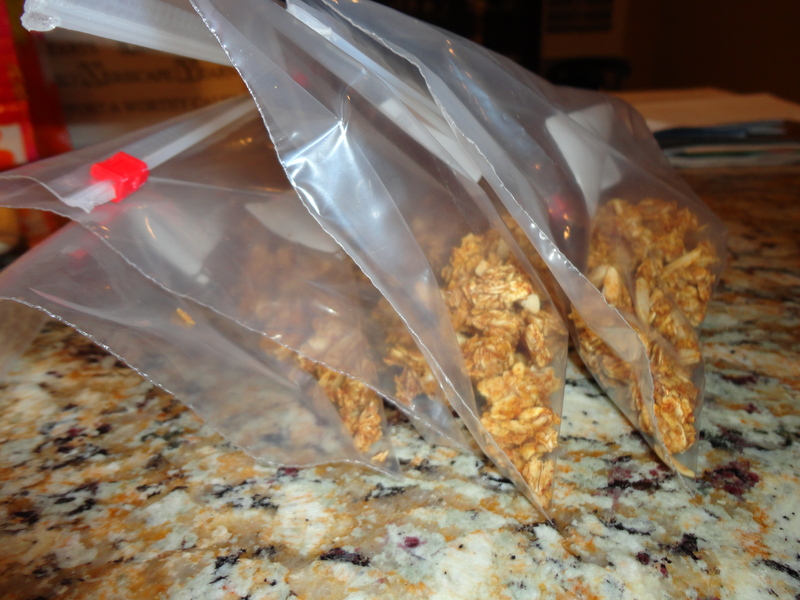 I loved making the granola myself because I was really able to control what I put in it!, i.e. I added nuts to mine and made sure there were extra clusters. Plus, it’s definitely cheaper than the store bought stuff. I have bags all portioned up and ready for me to take to work tomorrow to put on my Greek yogurt, but after sampling right off the tray, I can tell you that this stuff is amazing! I will definitely be making this again and am so excited to try out some others very soon! -How confident are you in the kitchen? -Do you have any favorite uses for pumpkin butter? -What’s a savory flavor combo you love? I’m going to do a post on using pumpkin butter sometime in the next week & how I use the deliciousness! 🙂 On a spoon is my fave! Way to get cooking! I know some days it takes up soooooo much time but you have a lot to be proud of!